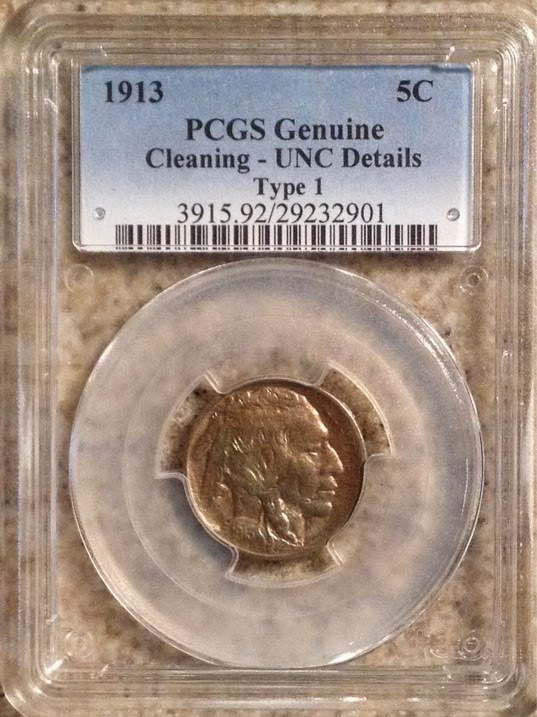 Tony Lawrence's Coins & Stuff: Cleaning, Dipping and all that. Here's my best advice about cleaning coins: don't. That's it. 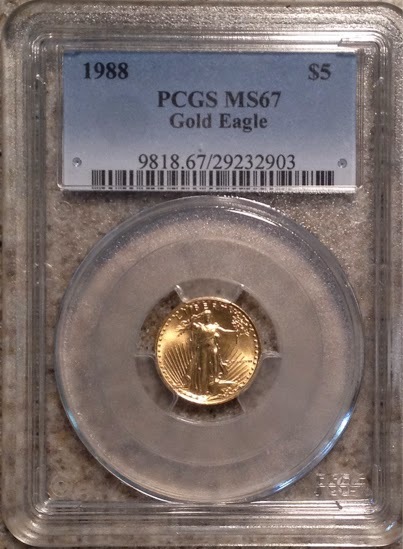 I should just stop there, but I know that there are coins that are simply begging for attention and you may have one of those, so I'll offer an alternative: send it to PCGS or NGC for professional conservation. They can safely improve the appearance of a problem coin if it can be improved at all. You might be forgiven for thinking that's a nice looking nickel, especially from the photograph. In fact, though, what might have been a $50 or $60 coin is now worth less than $10 - assuming anyone wants it at all! That's why I say don't do it. Not all conservation stories end happily, though. That's why I say leave it to the experts. This particular coin had cost me about $50 (I bought it in 1988) and was now worth over $100 just for its gold, so I had little to lose by giving it an acetone bath followed by a thorough rinsing in with filtered water. However, had it been properly stored to begin with, it might have been a MS68 or better. Many, many coins have been "dipped". There are people who will tell you that products like MS70 will not harm coins. That assertion may have some truth in it in that a mild dip and thorough rinsing will not cause a grading service to see your coin as cleaned. However, in some cases you may have removed value along with whatever the dip removed and multiple dips are even more dangerous. Also, if improperly rinsed or neutralized, the coin may change appearance later, even when locked away in an air tight environment. Again, if your coin has value, it's best left to professionals. If you are still tempted, I ask you to please read "About Coin Dipping, Or What I Learned From Many Mistakes" before you make your final decision.